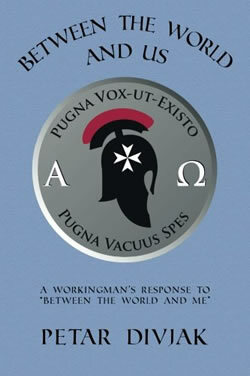 Home - Diviacchi Promotions, Inc.
A workingman’s response to the book “Between the World and Me” by Ta-Nehisi Coates. As Mr. Coates’ book, this book is written as an essay letter from a father to a son warning about the temptation to use racism as a means of survival in life but calls out fallacies in Coates’ work and warns of the dangers of Coates’ new school acceptable racism. Follow The Associated Between The World And Us Blog. 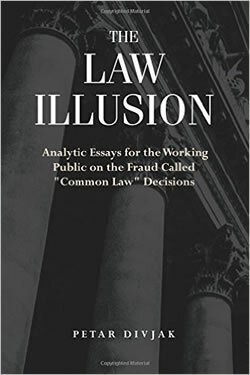 A collection of analytical and critical essays by practicing solo trial attorneys intended for the working public to explain the workings, nature, and theoretical basis of common law decision making. 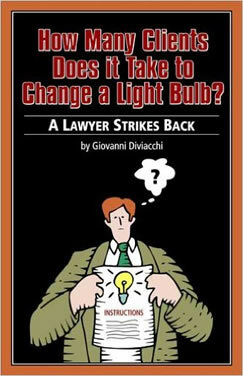 Contains a history of Western jurisprudence beginning with the earliest known common law decisions of the Old Testament continuing to Greek and Roman classical law, medieval legal systems, and then onto the modern American common law legal culture. This book critiques modern legal culture as a secular religion for modern technological society that is negating and replacing traditional concepts of Western religion. The book is sponsored by the Knights of Thermopylae Inn of Court.